In FellowScript, Summer 2018 edition, Ruth Snyder wrote her last message as InScribe President. She passes the torch to us to “consider how we may spur one another on toward love and good deeds [and God-honouring writing! 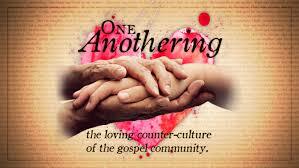 ]…encouraging one another” (Hebrews 10:23-25). I come from rodeo and ranching country near Calgary, and “spurring” has both a positive and negative connotation for me. Spurs can be a fashion statement for cowboys and cowgirls. Spurring a horse can be more than a small tickle in the ribs—it can be a painful dig. So when I began this blog, I looked up how other Bible translations explained “spur”. Words such as stimulate, encourage, activate, excite or arouse, were common. Now I could relate to these words. I thought of how the members of my local writers’ group have encouraged each other—and how they have encouraged me. Bonding as group members – When I re-started our writer’s group two years ago, most writers didn’t know each other, although I knew almost everyone. We were a group of strangers. It has been exciting for me to watch, month by month, vitality begin to pulse. New members joined us. Group members discovered common interests and formed friendships. Friendships have spilled over into some one-on-one bonding outside of meeting time. Sharing perspectives – Part of our meeting time is devoted to exploring Julia Cameron’s book, Right to Write. Each member takes a turn leading the discussion. Cameron has inspired us to delve into our own writing motivations and to give ourselves permission to write from the heart. I love her exercises, where she encourages us to light a candle and celebrate personal strengths, write in certain moods and let our writing be free-flowing, etc. We add an important component to Cameron’s ideas as we integrate creativity with our faith. 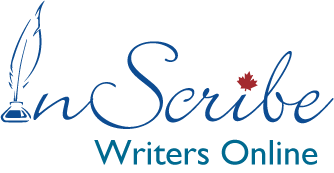 Growing as writers– Our members have a wide variety of writing interests. We have several poets, a song writer, a journalist and a publisher (including publishing of Native writing). Some write fiction, op-ed pieces/letters to the editor, devotionals, blogs, personal experience stories, essays and books. Over the last two years, I’ve watched our writers gradually take risks with more projects. One of our members inspired several to participate in NaNoWriMo this last November. Where will our writing take us in the years ahead? I could go on. But the deadline to post this blog is inching up on me and I must finish. I now turn it over to you. How are you spurring others in your faith and writing? How are others spurring you towards love and God-honouring writing? What a wonderful group to be part of. I'm glad to read how God brought all of you together to help each other on this writing and life journey. Community is so important to uplift and grow as you mention! Thanks, Lynn. It has certainly been an exciting journey! Thanks, Tracy, and I'm praying your surgery will go well! Another great prompt for our writers this month, Sandi. We're so grateful for the gracious gift you give us here on InScribe Writers Online -- we recognize the prayer and effort it takes to prepare such thought-provoking prompts for us. For anyone on the IWO roster, I'll be the Blog Moderator for the next few weeks as Tracy takes time away. I'm available on Facebook's Messenger (Bren Leyland) should anyone need to get in touch concerning upcoming posts. Wishing you all a grace-filled, productive month of writing. Thanks for your encouragement, Brenda, and God's provision for you as you cover for Tracy. I like the poster where you describe your writing group as "A Community of Grace and Growth." I also find it interesting that you as a group are going Julia Cameron's book/program, The Right to Write. I got so much out of her first book and I did this on my own, although I wrote about it in a couple of my blogs. Cameron's newer book, The Right to Write, has been on my wish list for a while. You are tempting me, Sandi. Thanks for this inspiring post. I am honoured to be one of the pray-ers for you and your group heading to Haiti, Sandi. May God bless each of you and the faithful work you will be doing. What an encouragement, Sharon! As for Right to Write, I found it more uplifting than The Artist's Way--but maybe I was in a different space. Yield to this temptation!